SAPC is coming up trumps! 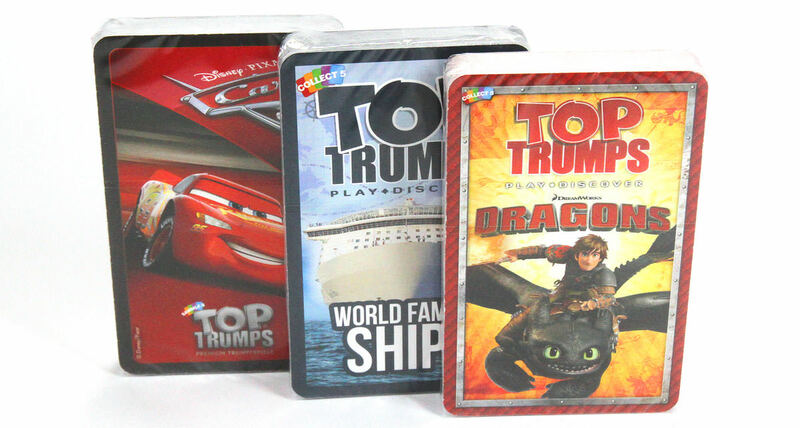 The manufacturing of the iconic card game “Top Trumps” has moved to St Austell Printing Company, in a partnership which secures investment and creates skilled local jobs. This means that we are expecting to print two million packs of the iconic card game a year. In order to fulfill the contract we have invested £500,000 in a new Rollem machine that cuts, collates and wraps the cards in cellophane. Winning Moves, which produces Top Trumps, awarded the contract to SAPC after director Nigel Hurn drove past the our factory while in Cornwall. Since winning the contract we have appointed two new members of staff with more appointments on the way. SAPC were helped in the contract bid with funding from BIG2, with 17% of the project funded to allow the company to enter a new market sector.